Friends for Our Riverfront: Is Memphis Landing 'cobblestoned' or 'setted'? Is Memphis Landing 'cobblestoned' or 'setted'? 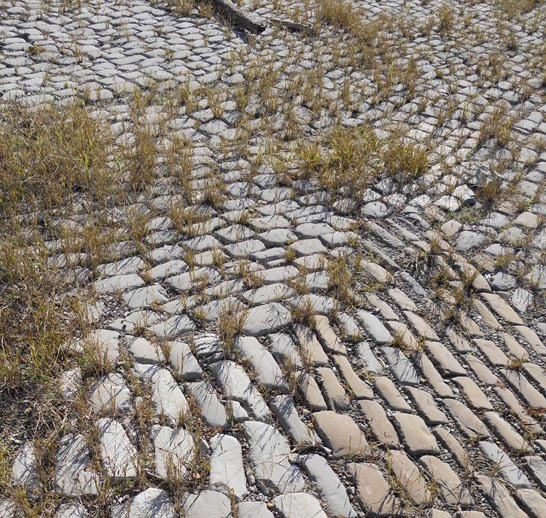 The Memphis Landing is paved with real rocks, but are they cobblestones? The answer requires a little historical and etymological digging. 'Cobblestone' comes from the old English word 'cob', which means a large rounded lump. In the 15th c. the diminutive suffix 'le' was added to give us 'cobble', a small stone rounded by the flow of water. It was these smooth 'cobbles', gathered from stream beds, that were used to pave the first 'cobblestone' streets. Paving with cobbles helped prevent ruts, mud in wet weather, and dust in dry weather - the same benefits that came to Memphis from paving our Landing. By the 19th century, granite was being quarried and used for paving. The quarried rocks were called 'cobblestones', but the real term for them is 'setts'. 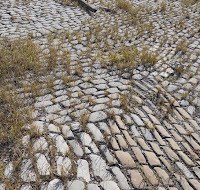 Unlike stream rounded cobbles, setts are more even, roughly rectangular in shape, and laid in regular patterns. It seems that Memphis Cobblestone Landing might more properly be called Memphis Sett Landing. The rocks that pave it were quarried at seven sites, shipped to Memphis, and laid as a public works project in two phases: 1859 - 1869 and 1879 - 1881. But whatever the correct term for the paving, the Memphis Landing holds a significant place in American history. For more information, click HERE and HERE for starters.